Meet our environmentally seductive, Accident-Free 2015 Fiat 500e Hatchback shown in show-stopping Celeste Blu. You'll step out in Italian style that is powered by an 83kw Electric Motor that generates 111hp while tied to a Single Speed transmission for easy passing. This efficient Front Wheel Drive team rewards you with fun driving dynamics and takes you the distance with the equivalent of 122mpg in the city! 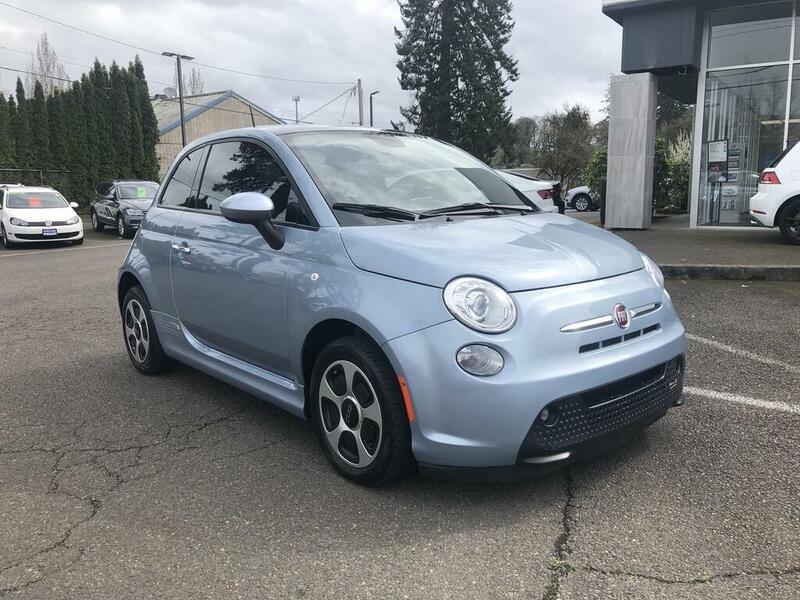 Sleek wheels and a rear spoiler enhance the aerodynamic exterior of this peppy Fiat that is sure to garner attention whether you're gliding down the freeway in the fast lane or maneuvering your way through busy city traffic. Artfully crafted, the interior pampers you with a sunroof, adjustable leatherette heated front seats, full power accessories, and automatic climate control. Expand your cargo area with 50/50 split rear seats and disguise your groceries with the retractable cargo cover. The instrument cluster features easy-to-use controls with a distinctly modern edge that allow you to monitor your driving style while a premium Alpine audio system and rear parking sensors are other amenities you will no doubt be thrilled to have.